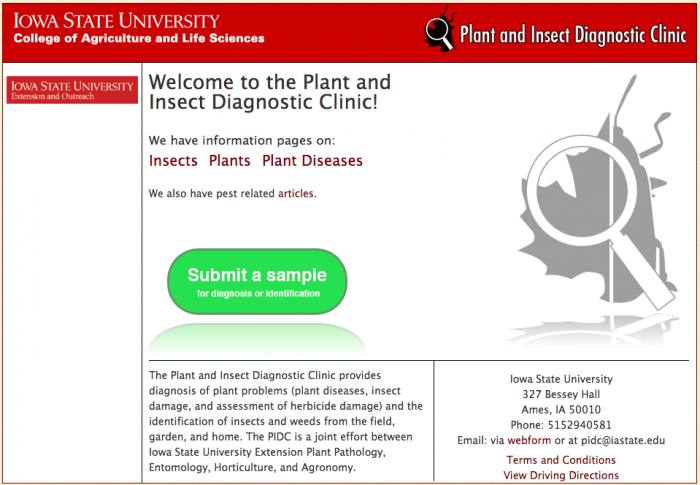 Field Crop Insects is a publication that is a cooperative effort between the Iowa Soybean Association and the College of Agriculture and Life Sciences and Iowa State University Extension and Outreach. The publication contains descriptions and images of many pest insects as well as information on insect life cycle, damage, scouting and management options. Correct recognition and identification of insect pests is an important first step to making a proper management decision regarding any insect species found in soybean and corn. The Iowa Tick Surveillance Program (previously known as the Lyme Disease Surveillance Program) regularly posts maps to show where Iowan's typically encounter the three types of ticks that are most common in the state. 1) What is this evaluation about? 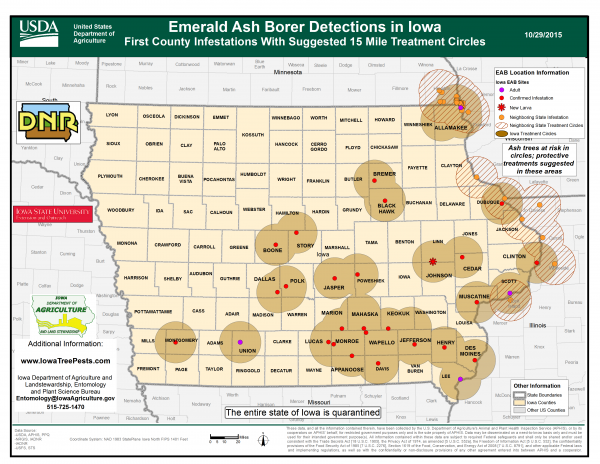 The purpose of this evaluation is to assess the impact of Iowa State University Integrated Pest Management (ISU IPM) programs, activities, and goals. Your voice is critical to this effort. Regardless of how you answer the questions, your responses will help us to critically examine the contributions our program can make to improving pest management, plant health and productivity for all Iowans. 2) Who is doing this evaluation? To find individuals who manage our program, and our partners in research, staff and faculty, visit our contact index.